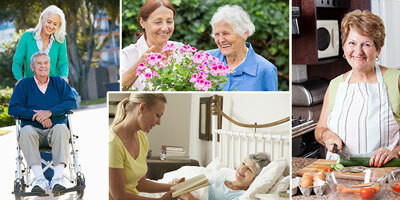 Our Daughterly Care Joyful Living Approach™ makes living at home for life… a real joy. If you want to delay going to a Nursing Home for as long as possible, it’s essential you choose an experienced Aged Care Provider with qualified and experienced Case Managers and Private Nurses. Experience counts when it comes to caring for the Elders in our community. In addition to our management team our 200+ Caregivers who are highly experienced and well trained in providing the individual needs of our clients. Read for yourself what people have to say about Daughterly Care. We are always keeping up to date with the latest issues around Aged Care such as Government Subsidised Consumer Directed Care in an effort to help our clients receive as much assistance as possible when it comes to In Home care. For more information on falls take a look at these pages. Need more information? To know more about us, read why we started Daughterly Care, and take a look at our services. Meet the stars of our business, our in home Caregivers and Case Managers and Private Nurses. Read unsolicited feedback about our Caregivers and Nurses from our clients. We’re always thrilled to receive such kind words.